Back in Raleigh in our living room, we have a created a relaxed and simple living room that is focused on neutrals and natural textures. We are big fans of using neutrals in our space because it lends to an ease when it comes to decorating. You can simply update things by trend such as pillows and rugs but your furniture will more likely stand the test of time. 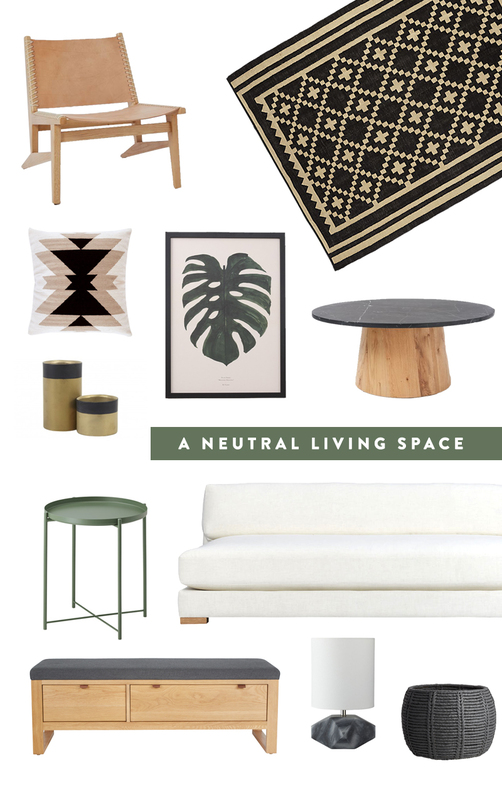 So I gathered up a few selections of neutral items that could help create a great living space in your own home to give you some ideas. There are some colors that will give you color but still act as neutrals such as muted mint and sage greens and denim tones. Pick patterns that are simple such are tribal or coastal influenced ones like stripes. These lend to the simplicity of a neutral living space. Have fun with the art by choosing a couple pieces that still fit within the color scheme but add interest. Have fun with the materials. Wood, marble, metal, jute, cotton, and wool are all great natural fibers and materials that lend well to a neutral palette. 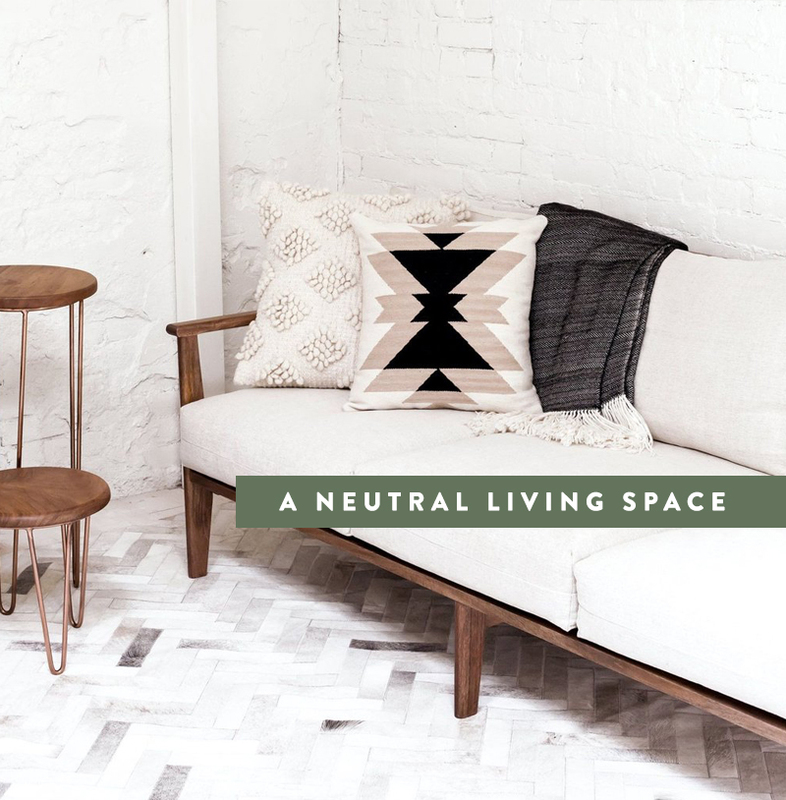 What items would you have in your neutral space?